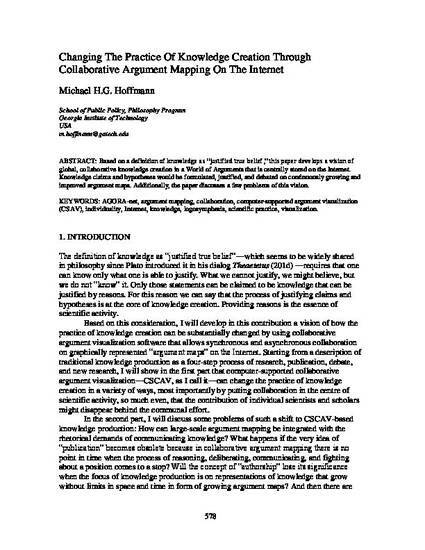 Based on a definition of knowledge as “justified true belief,” this paper develops a vision of global, collaborative knowledge creation in a World of Arguments that is centrally stored on the Internet. Knowledge claims and hypotheses would be formulated, justified, and debated on continuously growing and improved argument maps. Additionally, the paper discusses a few problems of this vision.